Jeremy Corbyn: ‘We have a party under attack from much of the media in this country like it has never been under attack before’ [Image: Stefan Wermuth/Reuters]. I told Cardiff Central MP Jo Stevens pretty much exactly the same thing as Jeremy Corbyn is now saying, at the launch of the campaign to put Labour’s Alex Thomas into the Welsh Assembly seat for Brecon and Radnorshire a few weeks ago. I wonder if she’s had a word in Mr Corbyn’s ear? We agreed that Labour’s chances of getting attention from a mainstream press that is dominated by right-wing interests was negligible, and then I told her that left-wingers like myself rule the social media. On Sunday, This Blog had more than 90,000 hits. For all I know, that might even elevate it from social media to mainstream status – or some new territory between the two. VP had that number of hits because it was saying something nobody else was – doing what Mr Corbyn wants all grassroots supports to do. It was speaking truth to power. 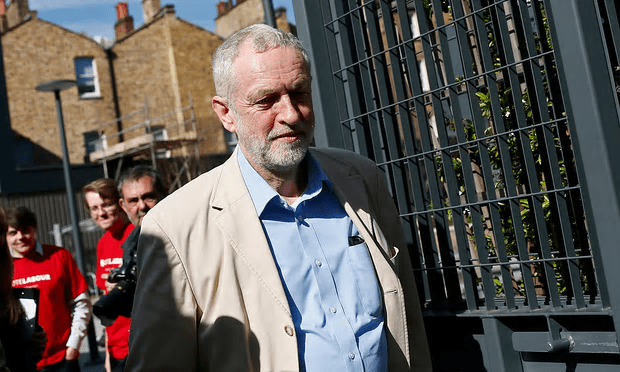 Jeremy Corbyn has told grassroots supporters that it was necessary for Labour to use social media to communicate with the public because rightwing media were censoring political debate in an unprecedented assault on the party. The Labour leader made the comments during a speech at an event on Saturday for supporters from Momentum, after a week in which there were a number of reports Labour MPs were considering mounting a challenge to his leadership after the local elections. Speaking at the Momentum Latino launch, he said: “We have a party under attack from much of the media in this country like it has never been under attack before. How do we reach out to people? We reach out because we come together at events like this. We reach out through social media in a massive way. And so I find that social media has a very important role to play in this. “When in one week, we can get one to 2 million people watching online a message we have been able to deliver at maybe a meeting like this or perhaps one that is even bigger somewhere else. It is a way of reaching past the censorship of the rightwing media in this country that has so constrained political debate for so long. We have to keep fighting for truth. Miliband made the same mistake in the last GE. Social media is directed towards the already converted. When you view left and right blogs, Twitter accounts, Facebook pages and political web sites you see almost only contributions from people supporting the particular view. The posts are mainly those of agreement and encouragement. Social media does not change opinions or gain votes. Main stream media such as TV is still the dominant political communication tool. The demographics of social media is that older people who mainly vote right of centre do not use it sufficiently to be influenced. Corbyn said yesterday that far from losing council seats tomorrow, he expects to make overall gains. He may have got this impression from social media where many are not old enough to vote or may not bother. It will be interesting to see how it pans out. Are you saying you are the exception that proves the rule, this being a Lefty blog and you being very much not? It will indeed be interesting to see how this pans out. We all have to keep up the fight for freedom.